Objectives Complications of pregnancy such as gestational diabetes mellitus (GDM) forewarn future chronic illness and disability, and demonstrate the need for a life course approach to prevention. Our study had two aims: (1) to elucidate how experiences reported by patients and providers converge to facilitate or impede follow-up care after GDM, and (2) to elicit recommendations for system-level changes to enhance prevention across key care transitions. 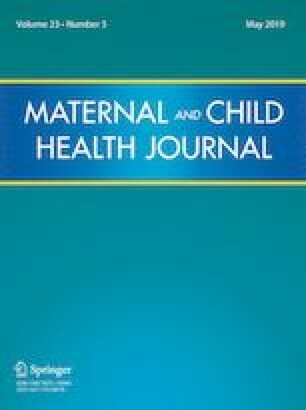 Methods We conducted in-depth interviews with 30 GDM patients and 29 providers of maternity, specialty and primary care in an urban safety hospital network, and used a three-tiered thematic analysis to interpret their narratives. Results Findings reveal that a ‘perfect storm’ gathers on the path to prevention across stages of care. At diagnosis, patients feel profound anxiety about the debilitating effects of type 2 diabetes mellitus in their communities, providers choose reassurance over risk communication, and both focus primarily on the birth of a healthy baby. Providers report that clinical teams often lack coordination, and confuse patients with a barrage of often-inconsistent advice. In the postpartum period, providers juggle competing clinical priorities and mothers juggle overwhelming demands; for both, the recommended 2-h oral glucose tolerance test is too arduous for women and providers to do as prescribed. Finally, the transition from maternity to primary care is complicated by communication barriers between clinicians and patients, and between maternity and primary care providers. Conclusions for Practice Respondents propose systems innovations to open communication between provider specialties in order to bridge the chasm between reproductive care and life course prevention. We are grateful for the generosity of the 30 women interviewed during the months following the birth of their child, the 29 clinicians interviewed, and the team of research assistants who skillfully conducted the in-depth interviews in diverse settings and languages. We specifically wish to acknowledge the interviewing and management contribution made by Dr. Judy N. Margo. This work was supported in part by NICHD R21-HD75640. National Committee for Quality Assurance. (2013). Patient-centered medical homes [fact sheet]. Retrieved from https://www.ncqa.org/Portals/0/Newsroom/2013/pcmh%202011%20fact%20sheet.pdf.